Now are available! 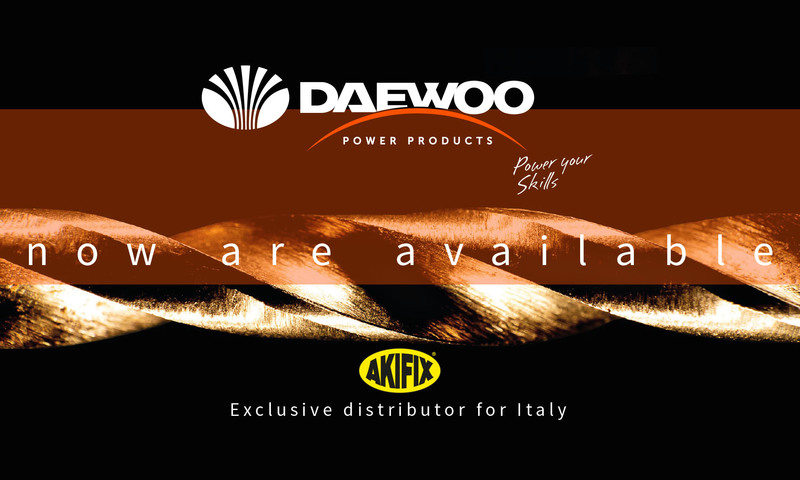 - Akifix S.p.a.
With a wide range of power tools, Daewoo prioritizes the user ́s needs in order to offer them the best possible solutions. Designed for perfect execution tasks and with excellent performance. Ergonomic and innovative designs, best power for each job and reliability make these tools a strategic ally.